Words to describe the experience. My dog show schedule recently took me to Decatur, Alabama. Driving northbound on I-65 in the Birmingham area, I encountered a brief storm. 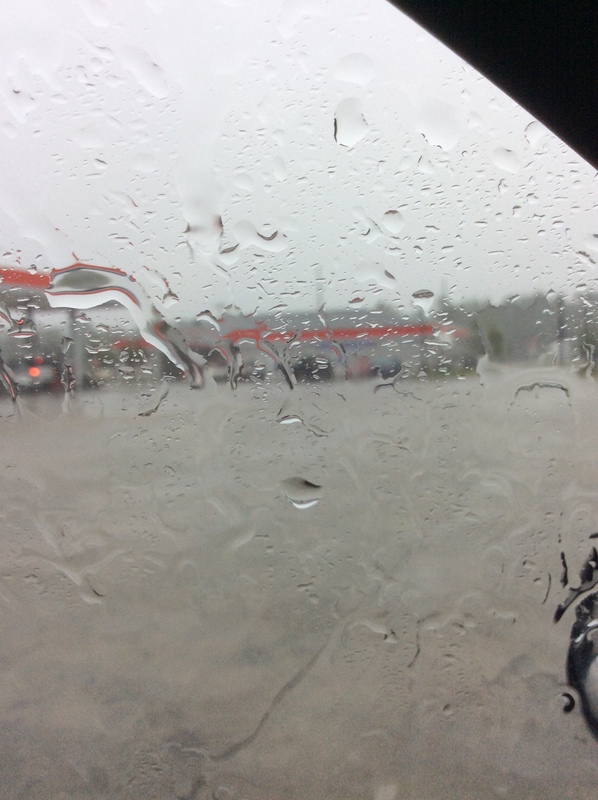 Southbound, toward home, I drove through several small storms but one was particularly dangerous and sudden. To remain calm I tried to think of words to describe the experience. Dropped from above by an invisible hand. As the traffic entered the blinding wall of rain. The wet wrath flooded us all. Until released together into the sun’s embrace. At the changing faces of the clouds off in the distance. Galloping toward nature’s dark tunnel ahead. Covering, punishing, whipping the car. Shaking the car and the hearts inside. Mile after mile of torrential terror. Mirrors to the changing sky. The storm will return another summer afternoon. To play with your fears and hearts. This entry was posted in Poetry, Retirement Life and tagged Poetry, retired life. Bookmark the permalink.